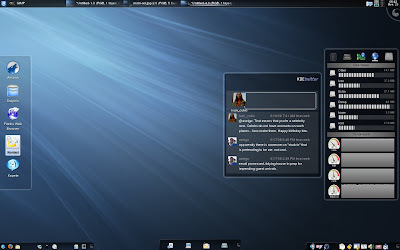 The latest series of the K Desktop Environment now utilizes Plasma, a new desktop and panel user interface tool that aims for a more functional, user-friendly, and sleek KDE desktop. 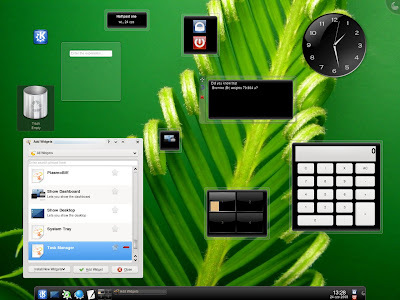 Plasma also supports Dashboard-like widgets called plasmoids. Most linux users seem to be design challenged. Reminds me of OSX at work, a lot of flash, not much in the way of content or UI guidelines. While I like a lot about OSX, I don't because of it's gaudy and lately unintuitive interface. Thanks, but I'll stick with KDE 3.5 for a year or so more, once you fix stuff to have the features more like konqueror etc. Keep trying. 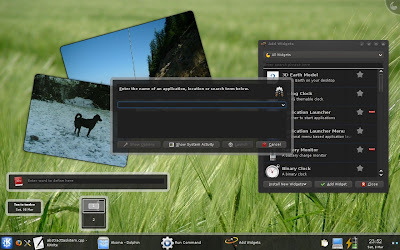 I hope theese designs will make it onto the looks of applications in KDE4. Right now its a bit unconnected but still, plasma is very nice. 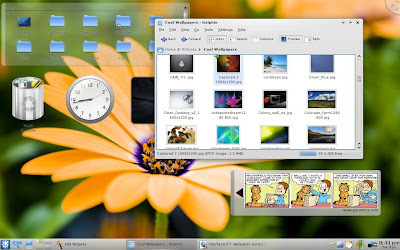 I recently switched to KDE4 after having used Gnome since RedHat 7. 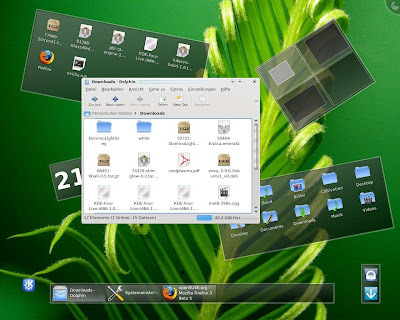 While KDE4 is a bit rough around the edges its really beutiful and nice to work in. While these are attractive in there own way, they aren't my style. I really like the, sharp, high-tech look with cool meters and statistics and such. 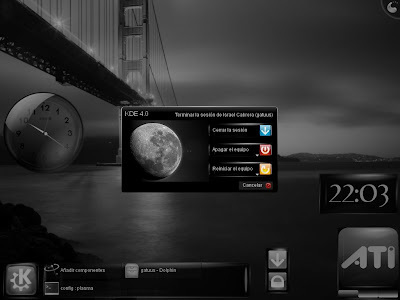 I want my desktop to feel like a digital command center. I'm surprised nothing like that made the top ten. Are there any programs/utilities that allow for themes to be randomized upon log-in or after a set amount of time? I like view and collecting themes, but I'd like for them to switch automatically to help keep thins fresh and sweet. Heh, no of course it doesn't work with windows. Unless you install KDE for Windows, but I'm not sure how to do that. When I used Windows, I used the program VistaGlazz 2.0 to patch the system, then you can download themes over at deviantART and follow the README files to apply new themes. Nice overview! How about showing some current themes?